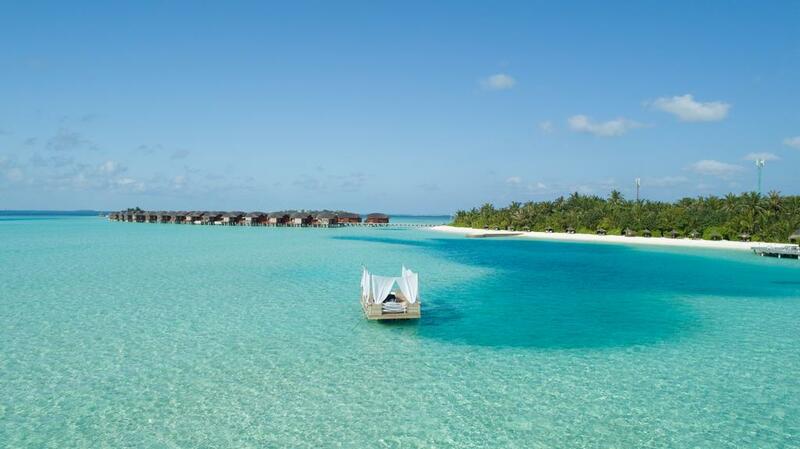 Anantara Dhigu Resort is surrounded by soft, white sand beach on Dhigufinolhu Island in the South Male Atoll. The resort is a 35-minute speedboat journey from the island nation’s international airport. 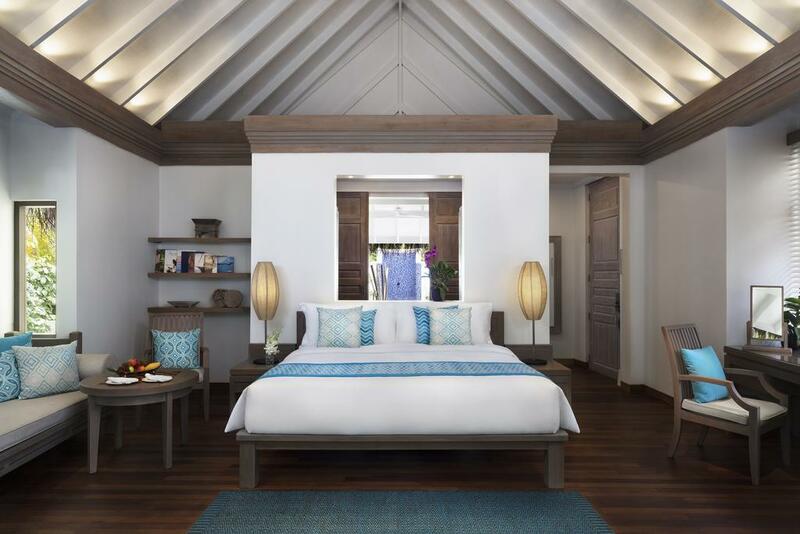 Guests can have access to two sister islands Anantara Veli Resort and Naladhu Maldives a wider range of dining options, activities and facilities. 110 villas at the resort are located either over the water or just a few steps from the beach. Decorated simply using wood and block colours, the villas are designed to reflect the laid back atmosphere of the island. Guest can choose between villas perfectly positioned to catch the sunrise or sunset, or those that have their own private plunge pool. 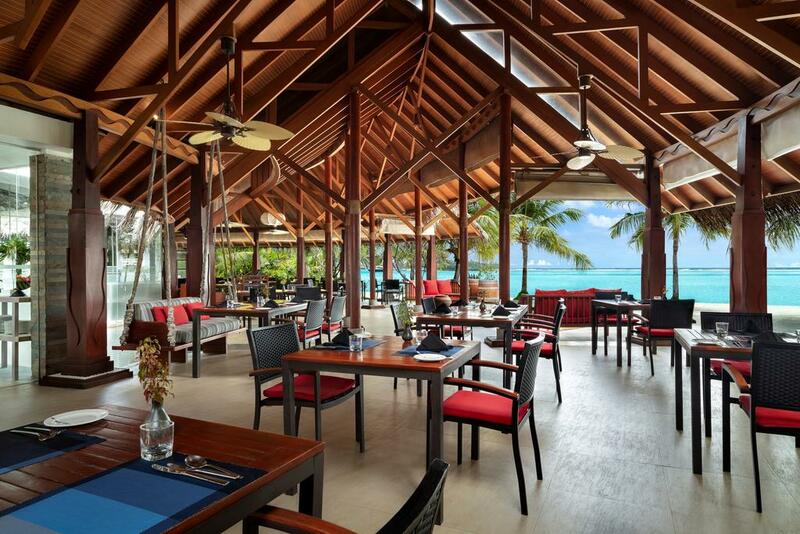 Guests staying at Anantara Dhigu have access to several dining options on the island including the main restaurant. Fushi Cafe serves the breakfast buffet every morning with live cooking stations. In the evening, themed buffets can be eaten here, from international cuisines to local Maldivian food. Fuddan Sea.Fire.Salt. offers grilled steaks and seafood for lunch and dinner and Terrazzo offers Italian food. The resort provides a harmonious combination of both the romantic, adventure and family friendly. 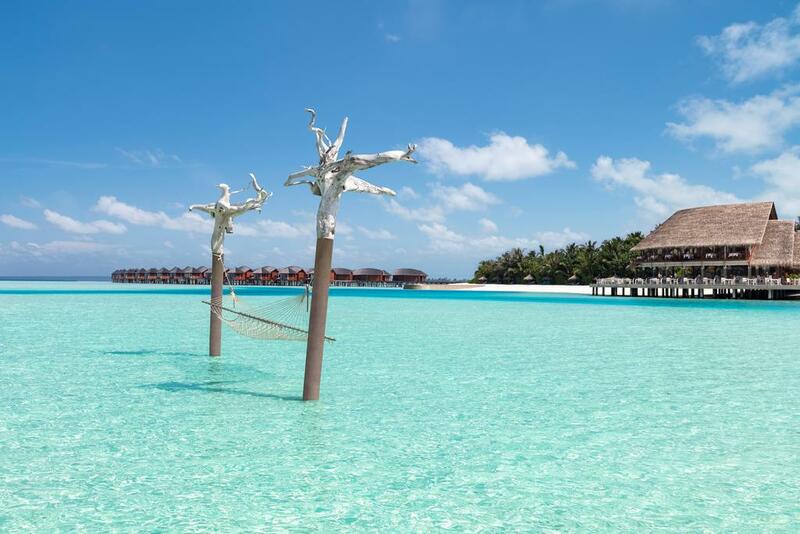 From the moment you arrive, peer into the crystal waters below the jetty at puffer fish, sting rays and baby reef sharks. 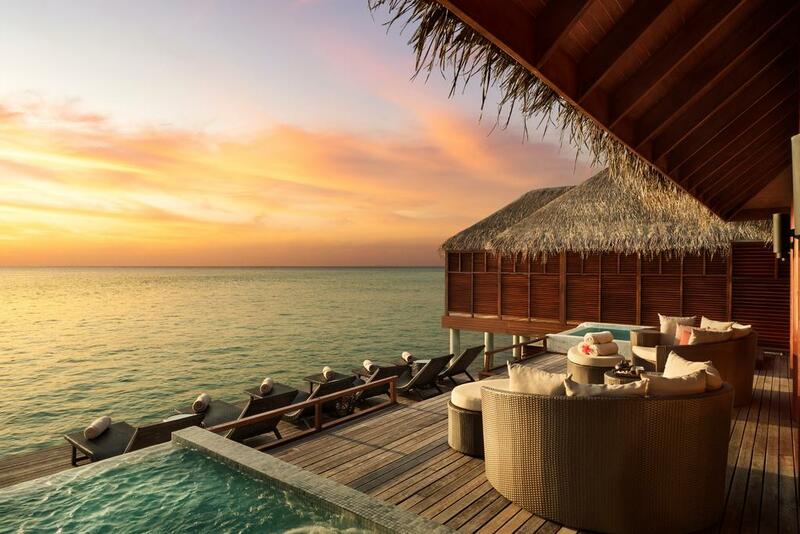 Head to the over water spa for a day of wellness and pampering.